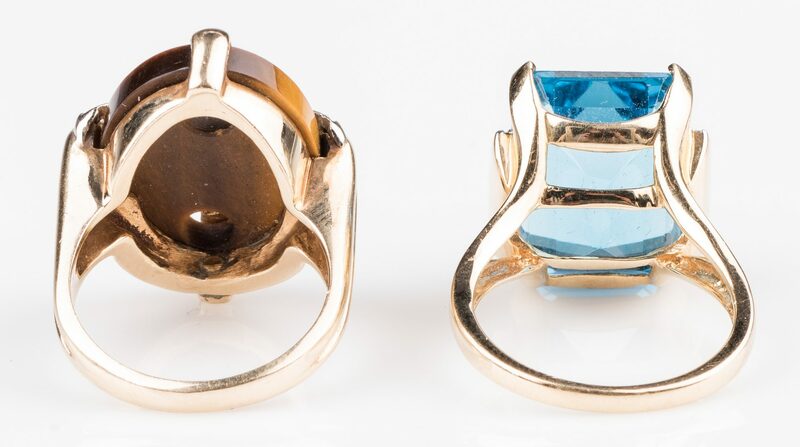 Two (2) 14K fashion rings. 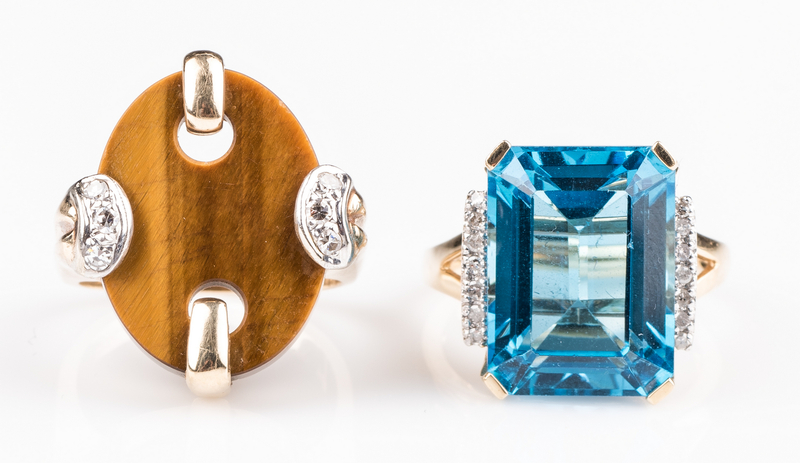 1st ring: 14k yellow gold London Blue topaz and single cut diamond fashion ring. Ring size 7, 7.6 grams. 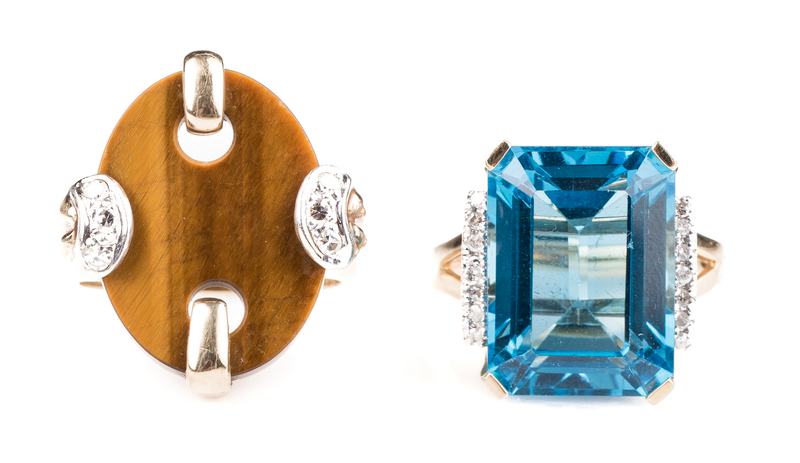 2nd item: 14K yellow gold tiger's eye disc and diamond (.18 ct) fashion ring. Ring size 6 3/4, 9 grams. CONDITION: 1st ring: Small nick on facet. Diamonds are Imperfect. 2nd item: Fleabite on rim of tiger's eye disc. Minor surface scratches on gold. Diamond approx. SI/G-H.